Piggy's Revenge : Yeah I'm slow! Where did the time fly? 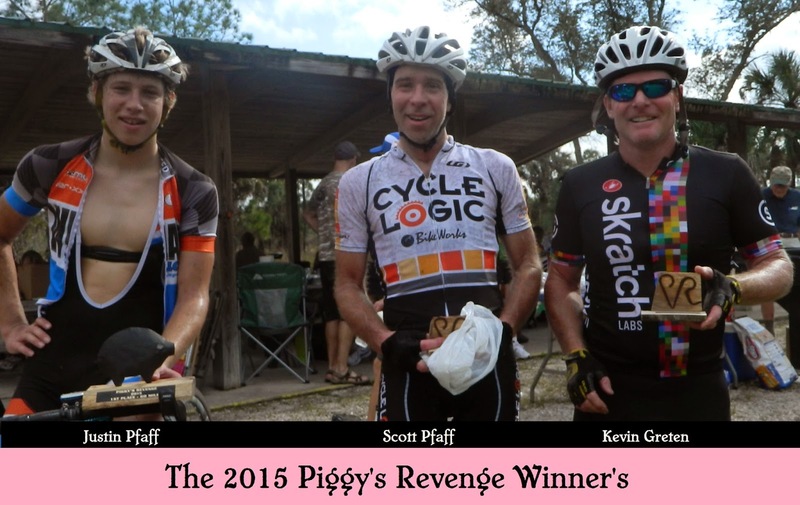 Piggy's Revenge 2015 was a success, we had a big crowd and lot's of fun. I want to thank all the enthusiast that participated this year, we are amazed how much better the Offroad scene has gotten in such a short time.Our area went from no trails to several options in just 3 years.Piggy's Revenge is one of the cornerstones of our success. The race this year exceeded our expectations, many riders were challenged in the 3 distances. 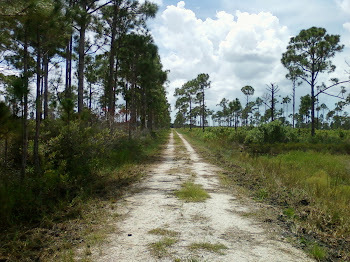 My favorite, the 60 mile loop was again crushed by the Gainsville Boys, the cross bikes will allow you to go faster but the punishment level is high. The combination of 60 miles of gravel, grass,asphalt,mud and sand is tough to overcome and even harder to do at race speed. Next year should be just as challenging.The 40 and 20 milers got to ride the Boldlygo single track twice, the 40's got to experience some tough back country riding as many underestimated the difficulty of that section. As always the volunteers made the event a success. 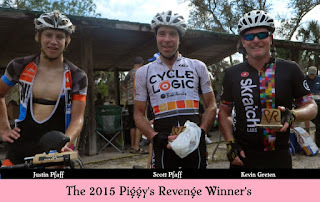 The next rendition of Piggy's Revenge will be better than the last,we are going improve all that we can.The loops will be challenging as usual, the sausages will be hot and the beer cold. Join us on January 10th 2016.It should be another great day to be on a bike.